Opinion: Is school spirit worth participating in? We see it all the time in movies. Teenagers with painted faces cheering for their school’s football team, everyone rushing to participate in school events, and so on. But let’s take a moment and think here. Does school spirit really matter? What if we didn’t have pep rallies or cheer teams? An also points out an opposing view. Some students might just have no interest in taking part of school spirit. Repetitive events may also affect student participation in school spirit. School spirit can only be as lively as the students themselves. If students don’t take the initiative to have some fun and show school pride, then there’s no chance for any type of uplifting school spirit. But vice versa, if students collectively put effort into keeping school spirit alive, then the overall mood at school will be much more cheerful. The Associated Student Body (ASB) works hard to keep the mood up. 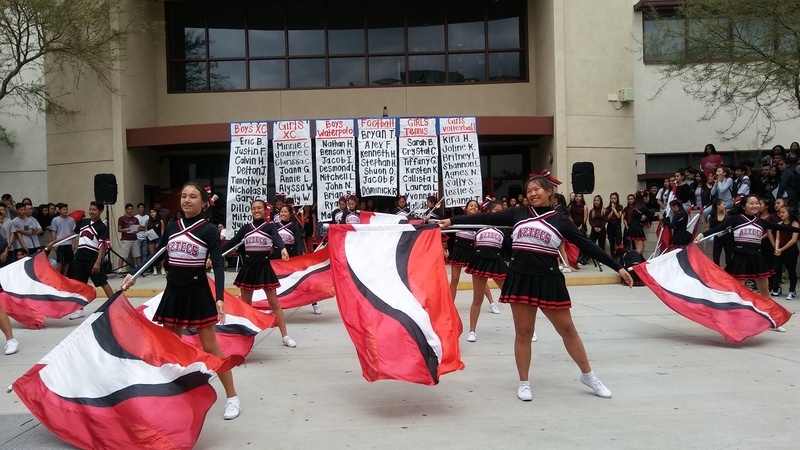 “ASB wants students to feel as if Mark Keppel is their home, so school spirit encourages and brings in that feeling. Most importantly, we want students to have fun by participating,” Commissioner of Publicity Allison Quach said. The pep teams play a large role in school spirit too. They proudly show off their school logos and colors on their uniforms and spend countless hours practicing to represent their school in different competitions and shows. And there’s no limit to who can participate in school spirit. In other words, school spirit does help– but only if you participate in it.